Borussia Dortmund’s teenage sensation Jadon Sancho is hoping that Bayern Munich slip up in their quest to defend the Bundesliga title. The winger scored twice to secure his team a 2-1 win over Mainz on Saturday and take them to the top of the table, at least until Bayern face Fortuna Dusseldorf on Sunday evening. Sancho is hoping that ‘tough side’ Fortuna cause an upset over Bayern. 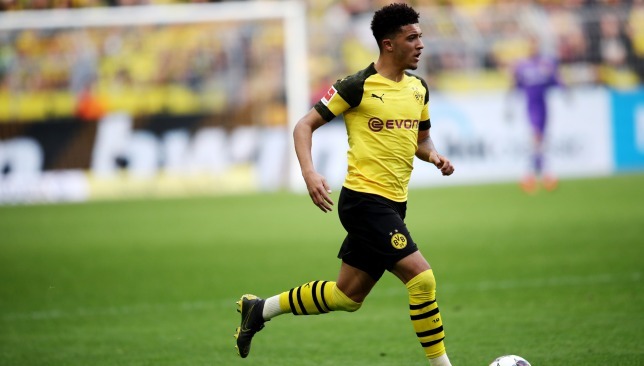 “We’re happy to be back at the top of the table and now we’ve just got to wait for tomorrow’s result,” Sancho told bundesliga.com. “They’re both good teams and I’m definitely going to watch it. Dusseldorf are a very tough side to play against so we’ll wait and see what happens. “The first half was very good and we got the two goals. In the second half we needed to keep the same character as we did in the first. “We need to work on that during the week in training and show better character. I felt like we were forcing the play a lot when we had the ball. In those situations we need to keep calm and relaxed. Jose Mourinho left Manchester United in December. Jose Mourinho has expressed his admiration for Borussia Dortmund as he continues to drop hints about his next role in football. The former Porto, Chelsea, Inter Milan, and Real Madrid manager was sacked by Manchester United in December, and has since stuck to making a handful of television appearances as a pundit. However, he has always insisted that he will return to management after a short break, despite some speculation after his United exit that his stock may have fallen enough that it would be difficult for Mourinho to find another job. Speaking to Bild, Mourinho revealed that he has spoken to Dortmund executive Hans-Joachim Watzke – though not about joining the club. He said: “I admire the work of BVB. Mr Watzke trusted me enough to ask for my opinion about a player and a coach I know well, I was honest, gave him my best possible rating. Dortmund, currently led by Lucien Favre, are one point off Bundesliga leaders Bayern Munich and still have a shot of winning this season’s league title, which would be their first since 2012. However, last weekend’s 5-0 loss to Munich has made even that one-point gap look insurmountable, with Mourinho citing the Bavarians’ experience of having won the last six league titles consecutively as an advantage – while making it clear that he has no designs on Bayern manager Niko Kovac’s job. The former Eintracht Frankfurt boss has endured an up-and-down first season in charge of the reigning champions, but now looks set to win a first league trophy, while Bayern also have a DFB-Pokal semi-final to look forward to in their hunt for trophies. “I honestly assure you that I hope Niko will keep his job because he worked very hard to reach that level,” Mourinho said. 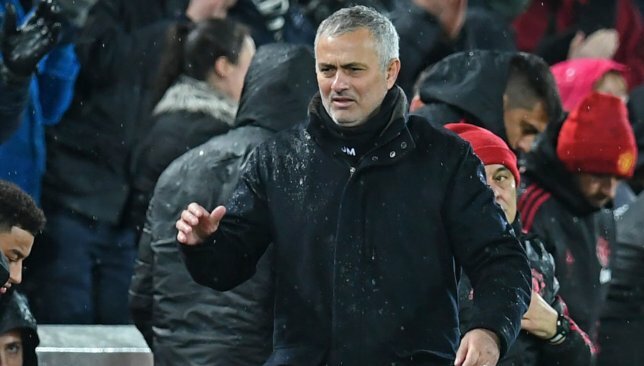 The 56-year-old continued to praise German football, a possible sign that having succeeded in Portugal, England, Italy, and Spain, the Bundesliga is the next frontier for Mourinho to conquer. 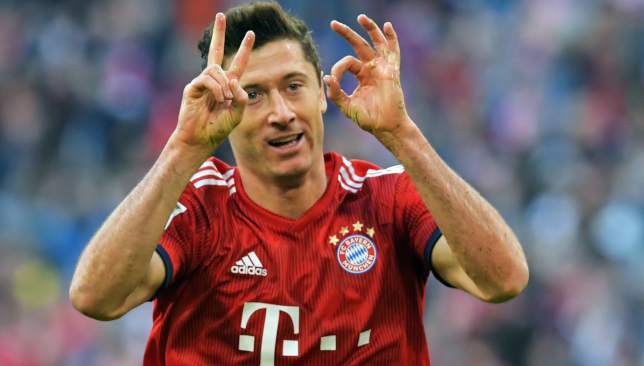 Robert Lewandowski entered rarefied air on Saturday as he became only the fifth player in history to score 200 Bundesliga goals. His brace in a 5-0 thrashing of former side Borussia Dortmund took him to 200 and 201 league goals – joining the legendary Gerd Muller, Klaus Fischer, Jupp Heynckes and Manfred Burgsmuller in the 200 Club. His 201 strikes have come in a quickfire 284 games – only former Bayern favourite Muller reached the total quicker. His late tap-in was also his 14th goal in Der Klassiker, which drew him level with Muller. 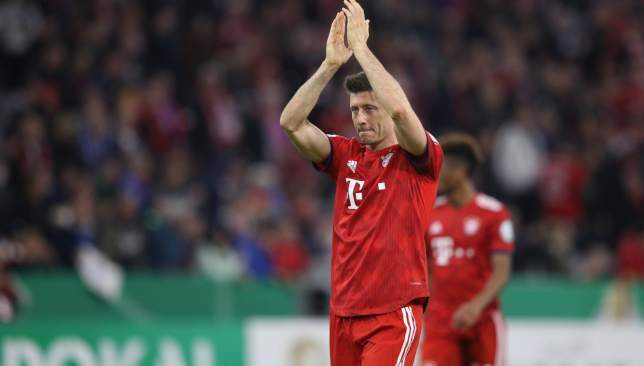 Although he has plenty of years ahead of him, 30-year-old Lewandowski is unlikely to actually catch Muller – who is 153 goals ahead on 354 – but the No2 spot is surely within his sights. That Muller is so far ahead of the rest of the names on this list is all the more remarkable considering his first season with German giants Bayern was played in the Regionalliga Sud (Regional League South), which was one level below the Bundesliga at the time. That was in the 1964/65 campaign. They earned promotion that year and have never looked back – dominating the German top-flight in its 55-year history, winning more than half of the titles during that time (28). Der Bomber was a huge part of their early success, bombarding the nets of countless teams as he eventually ended his career with a remarkable figure of 365 goals. He also plundered a mammoth 68 goals in 62 caps for West Germany in an eight-year spell from 1966-74 and was named European Footballer of the Year in 1970. What’s truly remarkable about Muller is that he was such an unconventional-looking footballer and would not have been pegged for such stardom early in his career. He was short, squat, awkward-looking and not notably fast; he never fitted the conventional idea of a great footballer, but possessed lethal acceleration over short distances, a remarkable aerial game and an uncanny instinct to score a goal. Lewandowski has a chance to catch the others on this list, but he’d likely have to invest in a cryogenic chamber to surpass Muller. The name that should be at the top of Lewandowski’s list of things to achieve before he calls time on his career. Fischer is 67 goals ahead of the Pole who, considering he has 30 goals (twice) and 29 in each of his last three Bundesliga campaigns in Bavaria (21 this season), should be confident of beating that figure, aged only 30. Fischer scored at a rate of a pretty much a goal every other game at 1860 Munich before moving to Schalke in 1970, where he would spend the majority of his career – which was packed full of goals as well as controversy. He struck 226 times in 349 games in all competitions for the Gelsenkirchen-based side – including 182 in the Bundesliga, 100 more than the next highest scorer, Klaas-Jan Huntelaar. Fischer was part of the 1972 German Cup-winning side, but Schalke were one of the clubs involved in a bribery scandal in the 1970/71 season, with Fischer implicated and found guilty. He was initially banned for life but this was later reduced to a one-year league ban and a five-year ban from national team eligibility. Despite the scandal he would still go on to net 32 times in 45 West German caps and was Bundesliga top scorer in 1976. He was a two-time DFB-Pokal champion with Schalke and Cologne, finishing his career at Bochum. Heynckes enjoyed a stellar Bundesliga career as both a player and coach. 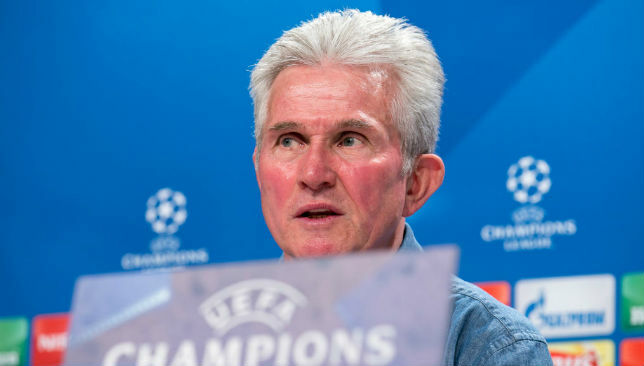 Perhaps renowned more for the two Champions League titles he led Real Madrid and Bayern to, as well as four Bundesliga titles claimed with the Bavarian behemoths during two spells as manager, but Heynckes was also a handy player in his day. The Monchengladbach menace lifted the UEFA Cup in 1975 with the Foals and also fired them to four Bundesliga titles, including three successive trophies from 1975-77. He was top scorer in two of those seasons and also lifted the World Cup with West Germany in 1974 and the 1972 European Championship, although he often played second fiddle to Muller. After moving to Hannover for three years, Heynckes returned to his hometown club in 1970 after they’d lifted their first league title. He scored 19 times in 33 matches the following campaign as Gladbach became the first club to retain the Bundesliga title. Heynckes’ hat-trick in a 5-1 away win against FC Twente in the second leg of the 1970 UEFA Cup final ensured Gladbach became the first German winners of the competition. 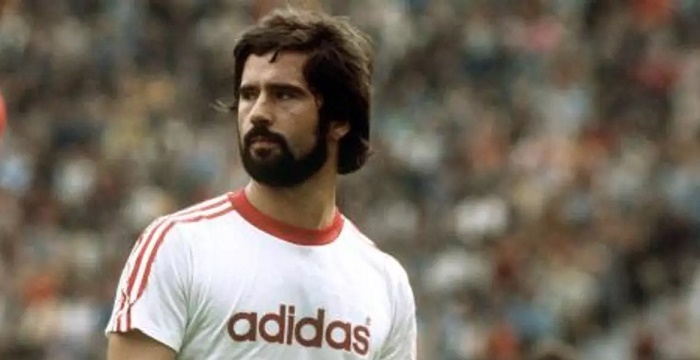 Burgsmuller’s success in the German top-flight is remarkable considering he frequently fluctuated between the tiers throughout a nomadic career, as well as the fact he often featured in midfield as well as up front. He spent the first eight years of his career with lower league clubs Rot-Weiss Essen and Bayer Uerdingen – the latter of whom he did play briefly for in the Bundesliga before moving to Dortmund in October 1976 as Bayer, after earning promotion, finished bottom and were promptly relegated. He enjoyed the most prolific years of his career in Westphalia, where he played almost exclusively as a midfielder. And yet, he also had his most productive years individually there, never netting fewer than 15 goals in the Bundesliga. In the 1980/81 campaign, he scored a career-best 27 goals. His final 34 Bundesliga goals came in his mid to late 30s as he lifted his first and only league title with Werder Bremen in a five-year stint from 1985-90. He was 40 when he finally called it a day and was even still playing professional sport into his 50s, featuring in NFL Europe as the Rhein Fire’s kicker from 1996 to 2002. Burgsmuller became the oldest professional American football player in history, aged 52, during this stint, winning two World Bowls, in 1998 and 2000. And so to the current Bundesliga superstar who has played fewer games than any of the big names ahead of him. Lewandowski trails Heynckes’ 369 by 85 and is separated by a small enough margin from the next three ahead of him to suggest he can get to No2 before he hangs his boots up. Lewandowski, now that he has joined this exclusive club, is a mere 12 goals behind Burgsmuller – who he could feasibly chase down before the end of this season, or certainly early into 2019/20. Heynckes is only 19 ahead and while Fischer, 67 ahead, will take a little catching, at the rate he’s been scoring the last five seasons, another few campaigns is all that is required to reel Fischer in. He was a two-time Bundesliga champion and DFB Pokal winner with Dortmund before leaving on a free transfer in 2014 – netting 74 of his 201-goal haul for the Black and Yellows. In five seasons in the famous red, he has roared, adding another 127, as well as four more league crowns and another DFB Pokal. He was Bundesliga player of the year in 2016/17 and also holds the record for the fastest five-goal haul in any major European football league since records have been kept after scoring five times in nine minutes against Wolfsburg in 2015.